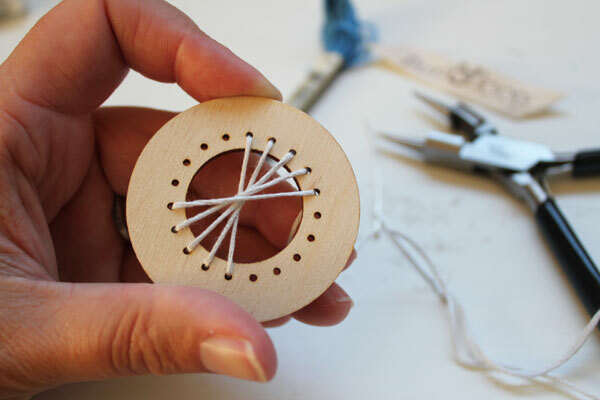 If you’re looking for a fun Christmas ornament, this Woven Ornament is perfect! 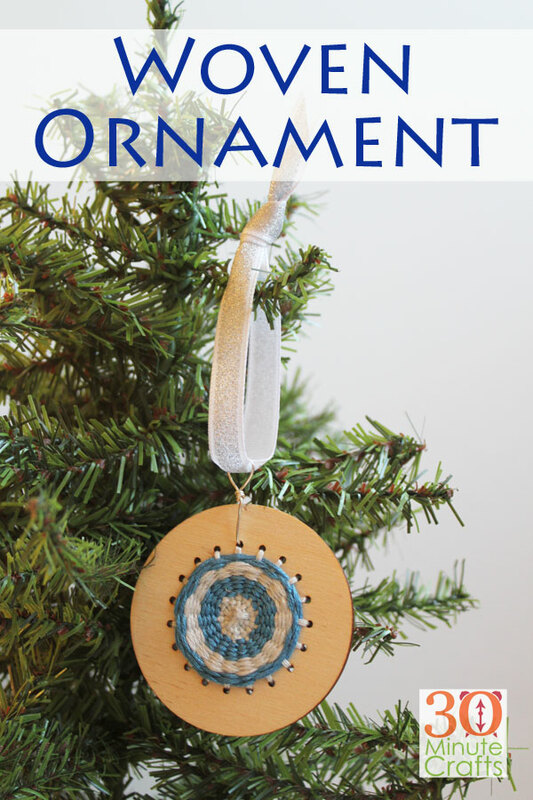 It is an easy to make handmade ornament that you can whip up in 30 minutes or less! 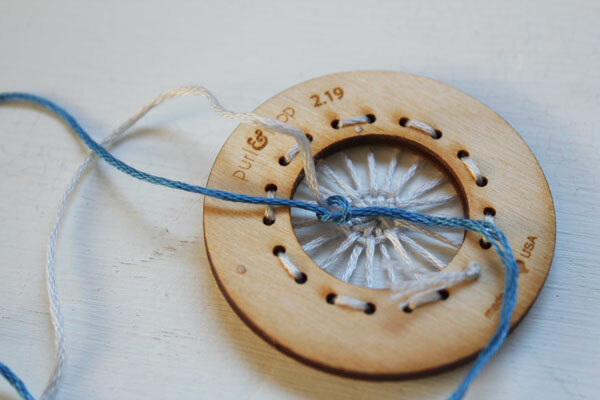 You can hang it on your tree, use it to decorate a handmade gift, or give it as a gift itself! 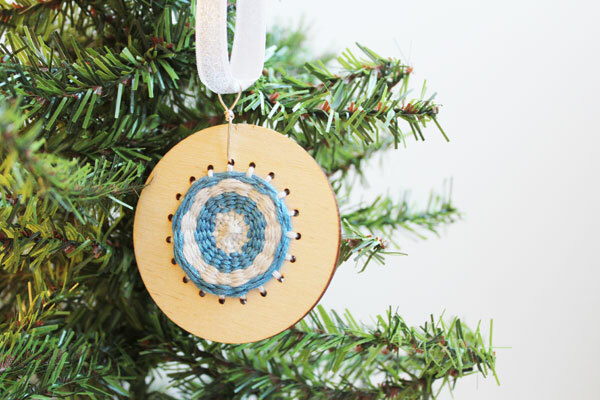 Have fun whipping up these simple wooden ornaments and you’ll feel ready for the Holidays in no time! And if you really want to feel ready for the holidays, scroll down to the bottom of this page and you’ll find a whole list of other designers with projects designed to get you holiday-ready, PLUS a special giveaway! 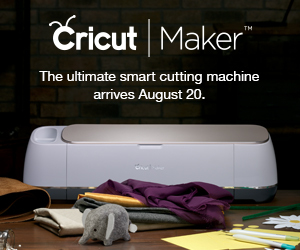 Be sure to comment here and on all the projects linked below to enter! 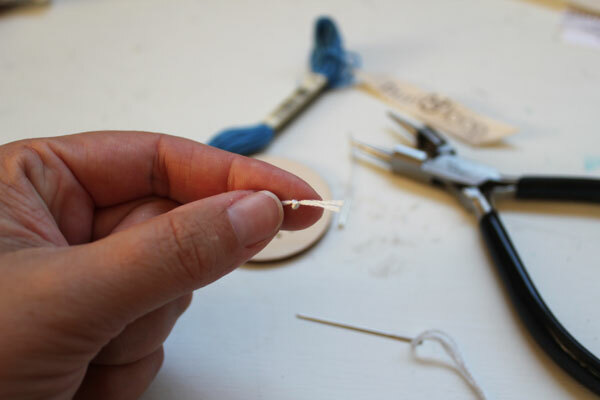 Start by cutting of a length of embroidery floss. Usually from your fingers to your nose is a good working length. Tie a knot at one end. Pick a hole, and come up. Then go across and go back down. Come up next to where you went down. If this sounds confusing, don’t worry! There are excellent instructions in the kit! Keep going all the way around, going in a spiral. When you end, you’ll end in the last hole. It will feel awkward, but this is perfect. When you want to add a new color, you can tie it in from the back. 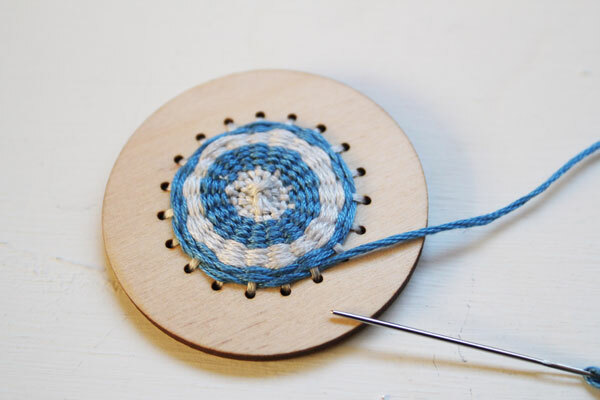 Keep weaving until your ornament is full. Then you can tie it off on the back. 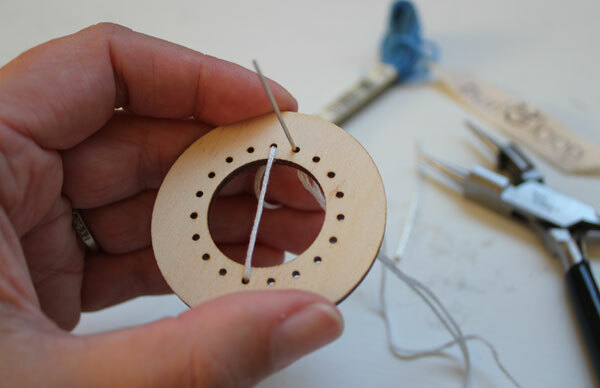 To add a hook, use a long headpin. Insert it from the back. 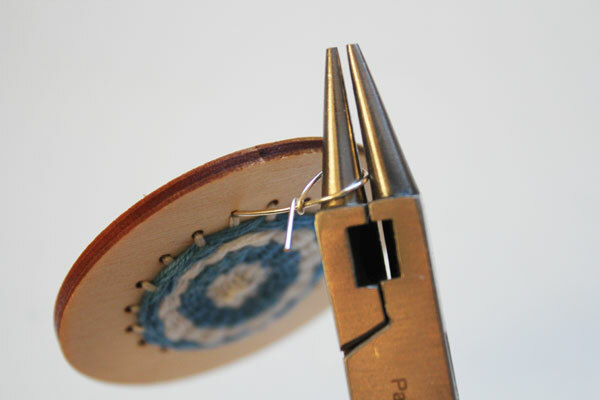 Then you can use pliers to make the loop. 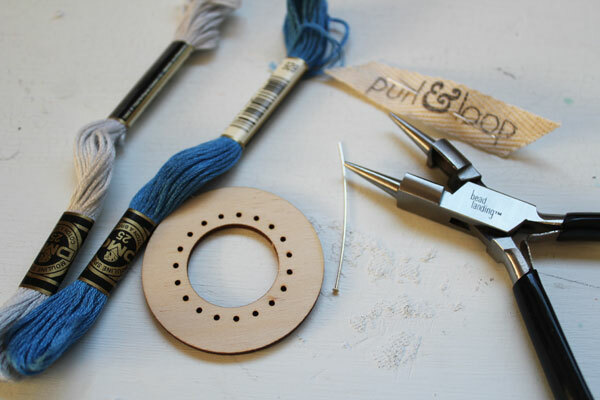 Add a ribbon, and your woven ornament is ready to hang! 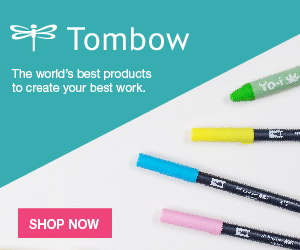 If you want to do some more Christmas prep, be sure to click on each designer’s name to check out their awesome project! If that isn’t enough we have over $100. 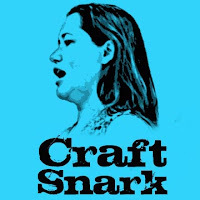 In crafty prizes including the entire line of Rita Barakat diecuts/ephemera and fabulous paints and glitters from @plaidcrafts! This is going to be awesome!!! To enter to win you must visit and comment on each post! Bonus, stop by Plaid and like their FB Page! Oh, I LOVE wood. 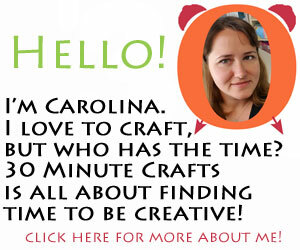 And I love yarn crafts. I will have to try this. ANY design can be achieved, it seems. NICE idea. So pretty Carolina thanks for doing this!!! Love a unique ornament! Great job! TYFS and doing the Hop, I Love this Ornament !!! This is so unique and fun! A prefect addition to the tree! Now I’m thinking of ways to decorate the wood as well! Now I’m thinking of ways to decorate the wood. 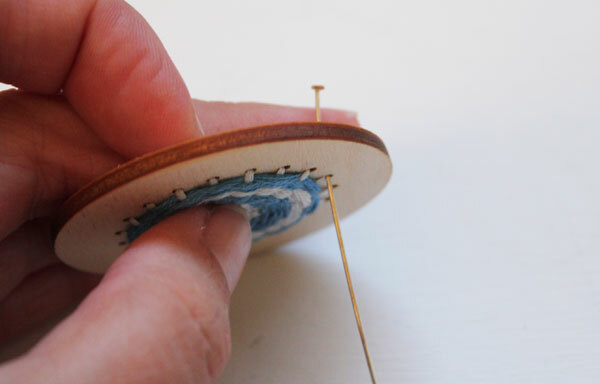 Love your ornament and what a great way to show off your embroidery skills. So clever! Did you drill the holes for this? So pretty! 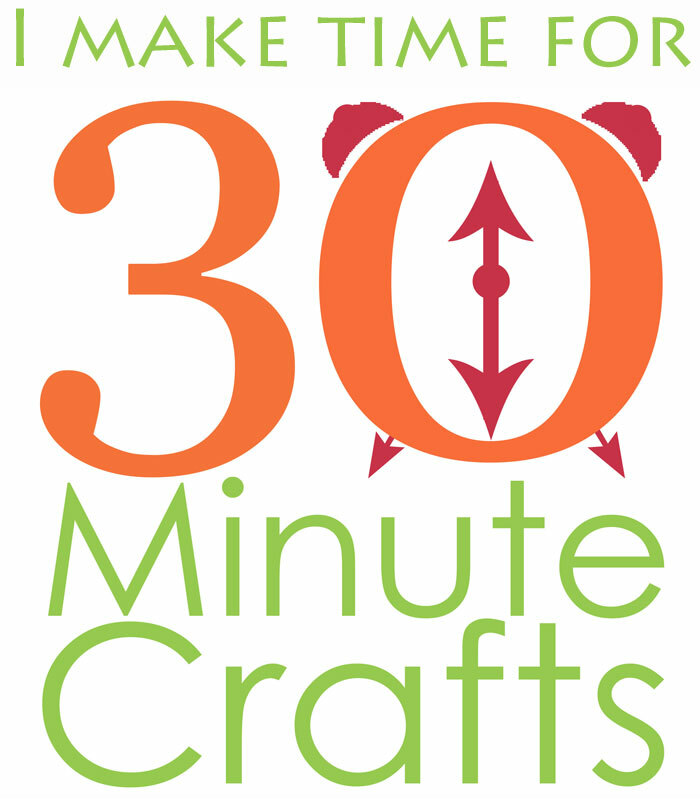 I love crafts that are quick and easy. These would make nice gifts for the holidays. this is easy enough for my grandkids to make. Interesting idea! I’ve never seen these wooden ornament bases before. Thanks for sharing! Very pretty homespun type ornament! What a cute idea. I could see working on these all year round while watching tv. Truly neat idea! Thank you for sharing! I love this unique idea! I’m a fan of Plaid too. Joe sent me. I bet this would be so relaxing to make. Nice project. What a pretty ornament! It would make a great decorative piece on napkin rings for a holiday table! How cute is that! I love the weaving look! Joe sent me!!! What a fantastic ornament!!! I would love to try this. Very unique and beautiful ornament! 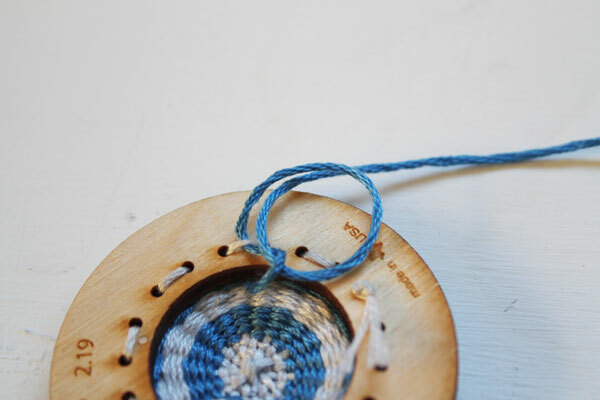 I really love the weaving affect of it! And that you used wood for the base of it too! Adorable ornament, Caroline!! 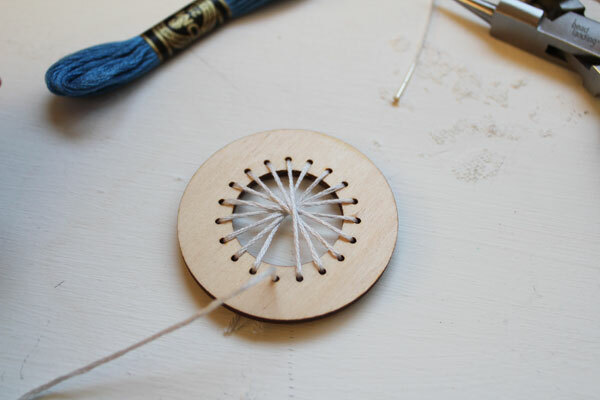 I love how the wood and the thread come together to create such a lovely piece!! This is such a lovely piece, Caroline! 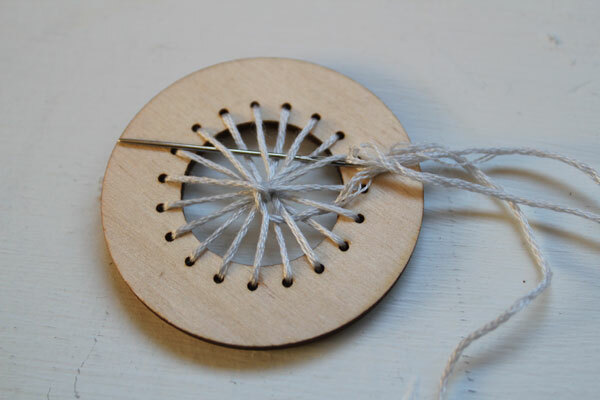 I love how the wood and the blended together….with your skill, of course, to create such a lovely ornament! What a cute little ornament. Joe sent me! I love this! Simple and doesn’t make a mess but the finished project is adorable. This one seems so fun! Great idea. I am definitely going to try this one. just clever. too cute. Joe sent me.